푸조나무는 따뜻한 지방의 하천과 마을 부근에 많이 자란다. 곰솔, 팽나무와 함께 소금기 섞인 바닷바람에 잘 견디기 때문에 바닷바람을 막아주는 방풍림에 적당하다. 팽나무와 비슷해서 곳에 따라서는 개팽나무, 개평나무 또는 검팽나무라 불리기도 한다. 강진 사당리의 푸조나무는 나이가 약 300살 정도로 추정되며, 높이 19m, 가슴높이 둘레 9.7m이다. 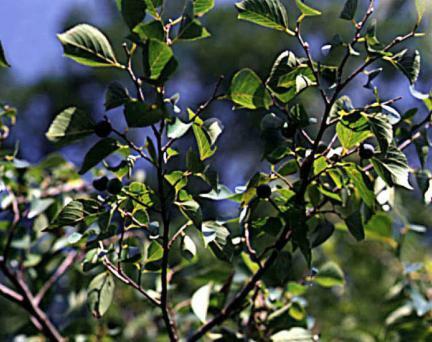 마을 앞 도로 옆에 6개의 줄기를 가지고 서있는 모습이 위엄있고 아름답게 보인다. 이 나무는 예전에 고려 청자를 굽던 가마터 부근에 있으며, 도공들의 보살핌으로 지금까지 남아 있는 것으로 보인다. 어느 나무꾼이 가지를 잘랐다가 급사하였다는 이야기가 전해질 정도로 나무를 신성하게 여겨 마을 사람들이 제사를 지내고 마을 단합의 중심점으로 삼았으며 한때 이러한 풍습이 일시 중단된 적이 있으나 다시 제를 지내고 있다. 사당리의 푸조나무는 모습이 매우 아름다우며 오랜 세월동안 조상들의 관심과 보살핌 가운데 살아온 나무이며, 생물학적 자료로서도 가치가 높아 천연기념물로 지정·보호하고 있다. 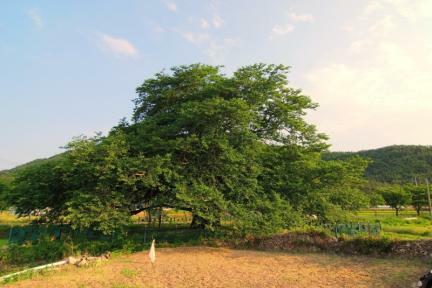 The muku tree grows in the warm areas along the western shore of Korea's mainland and the region of Gyeonggi-do. 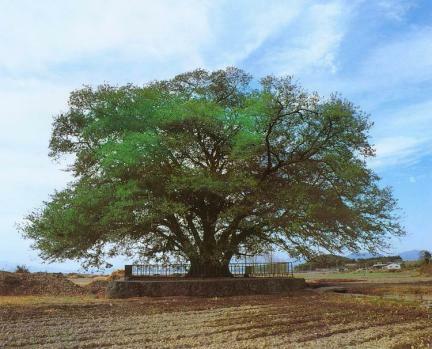 Because this tree is strong like pinus thunbergii and celtis sinensis, it is used as a shield against seawinds. 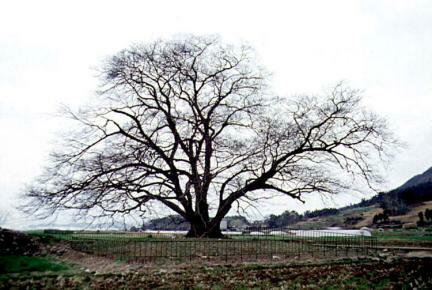 This tree species is similar to celtis sinensis, and in some places, it is called Gaepaengnamu or Geompaengnamu. 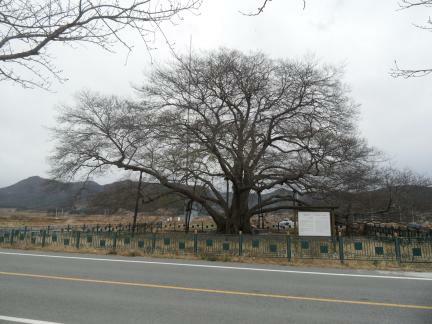 The Muku tree in Daegu-myeon is about 300 years old. 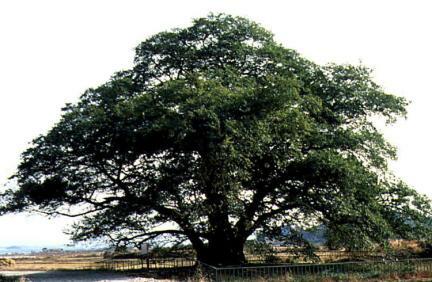 It is 19 m tall with a girth of 9.7 m. It stands beside the road that leads to town. 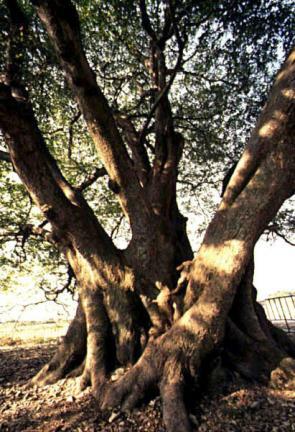 Though it is divided into six branches, it looks grand and beautiful. 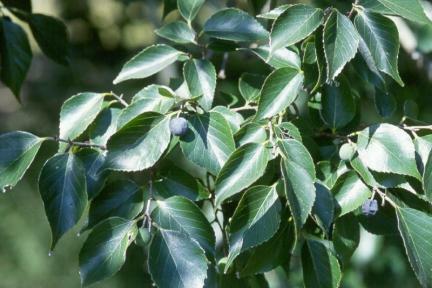 According to a legend, a woodcutter suddenly died right after he cut off a branch of this tree, and since then, people have believed this tree to be holy. 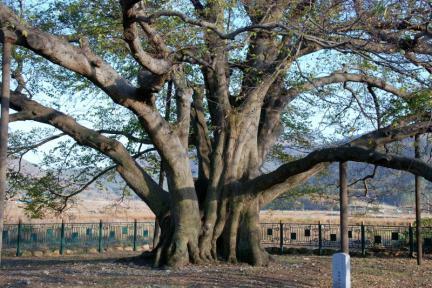 Until 1960, people had performed sacrifical ceremonies for this tree in order to promote cooperation among the villagers. After 1960, however, the ceremony has since disappeared. 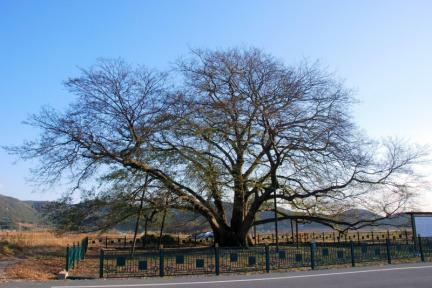 The Muku tree in Daegu-myeo is known to be breathtaking and has been taken care of for a long time, particularly since it is valued for its biological properties. Therefore, it is designated and protected as a natural monument.